Yes, we were excited too, but it looks like owners of Verizon's LTE Xoom still have to wait a bit for ICS. 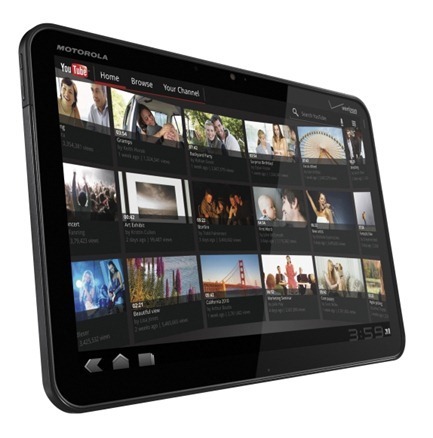 The tablet is about to receive a software update (HLK75H) "soon". Verizon's support page doesn't specify when. There's not much to the update, though. Your tablet will now support dual International Mobile Subscriber Identities (IMSI), as well as a bugfix for restoring data connectivity after exiting Airplane Mode. In other words, this update is for the subset of the already small group of people who own Verizom Xooms that use their tablets for frequent international travel. Meanwhile, the rest of us are still waiting for Ice Cream Sandwich to land on the LTE Xoom. 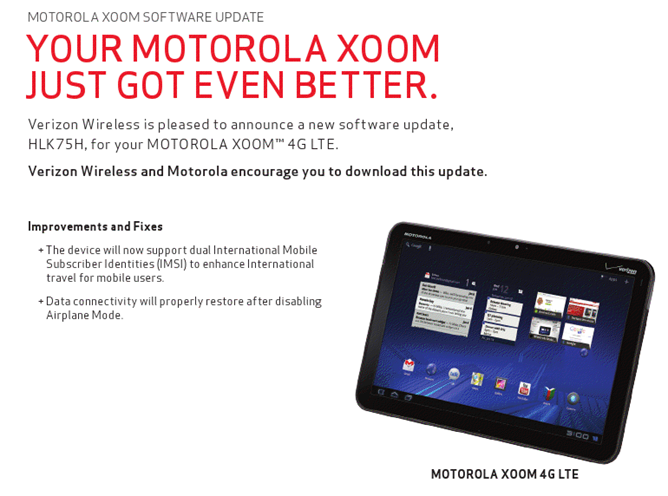 The WiFi Xoom has already been updated, but those tied to a carrier are left waiting in the wings. It's difficult to be a Xoom owner and not be jaded by this point. After a launch with several key features missing, a six-month delay on a hardware update that is largely unprecedented, and absolutely dismal sales, the Xoom is an emblem of every wrong way to handle a product. Perhaps a timely update to Ice Cream Sandwich was a bit too much to hope for.